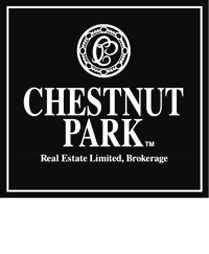 Chestnut Park Real Estate Limited was established in 1990 in Toronto, Canada. In just over two decades, Chestnut Park’s sales team has grown from five to 250 agents with offices in Toronto, Muskoka, Collingwood, and Prince Edward County. As an exclusive affiliate of Christie’s International Real Estate, and as one of Ontario’s leading luxury real estate companies, you know you’ll be working with seasoned, top real estate agents who are the best at what they do. We’ve made it our mission to provide every Chestnut Park client with the most customized service in the industry. Sellers: Why List With Us? To sell your property in the shortest number of days, for the best price, with the least inconvenience to you. Pricing your home competitively with our property evaluation and extensive knowledge of current market conditions. Marketing your property strategically through MLS; our own website and/or blog; print advertising; internal agent meetings; and with powerful digital tools including professional photographs, single listing websites, video slideshows, virtual tours, Google ad campaigns and email blasts. Negotiating the selling terms and price of your property with skill and integrity. Guiding you through the process from start to finish to achieve the best possible results. Buyers: Why Buy With Us? To provide our buyers with the most customized service in the industry. Understanding exactly what you want and need in a home. Monitoring appropriate properties for sale through the MLS database, our internal network of real estate agents, and even those not necessarily on the market. Arranging for you to view the properties that best match your criteria. Copyright © 2019. Chestnut Park Real Estate. All rights reserved.